DEWALT reconditioned tools come with a 1 year free service contract. I`m very happy whit it, you can't tell the diference betwen this and a new one, and the deal of the drill, 2 batteries and the case for the price is GREAT! 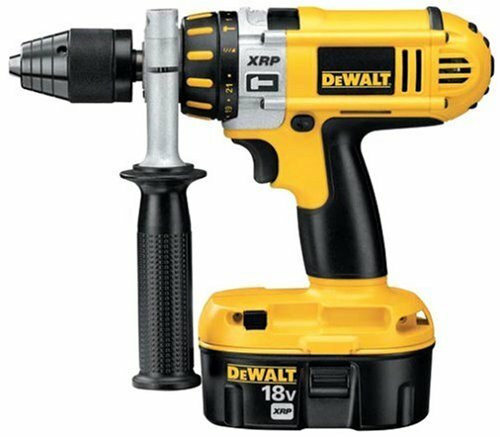 I've had the same DeWalt 18v XRP, with the same 2 batteries and the same charger for 5 years and haven't had a single problem with them. (knock on wood). And no, my drill hasn't spent every non-working second of it's life packed neatly in it's box. I've beaten my drill all to hell and back and it just keeps on keeping on. Clutch inorperative upon arrival; Reconditioned??? Shipment of Tool was prompt. The clutch on the drill/driver does not work. No matter the setting it will not slip. This means a trip to a repair shop under the warrenty. A similar tool is also in the shop and weeks of delay are anticipated. Dewalt and Porter/Cable products are not the quality they once were! Black & Decker has downgraded every product line they have taken over: GE small appliances, Dewalt, Porter/Cable, Price Phester, etc. Bought the "reconditioned" model"; it looks virtually new but works like a brand new version. 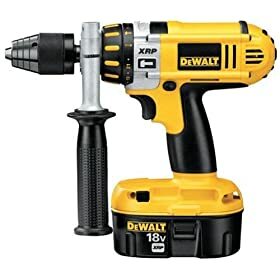 Out of the box, I've run the drill hard and it just keeps going and going. Plenty of power and plenty of options to control/reduce the power as needed. The drill easily earns a 5 Star rating!!! If your in doubt; no worries, just purchase one and you'll be super pleased!